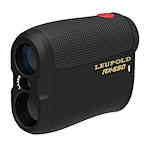 Leupold Rangefinders give you the precise distance to targets up to 1000 yards away. Upper level Leupold Rangefinder models feature True Ballistic Ranging (TBR) and Digitally eNhanced Accuracy (DNA) for faster and more accurate readings. Leupold GX Golf Rangefinders are available with or without True Golf Ranging (TGR) which accounts for distance, temperature, and elevation difference. 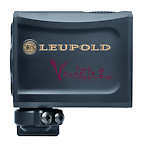 Leupold RX digital rangefinders feature DNA, Leupold's Digitally eNhanced Accuracy rangefinder engine. The pocket-sized RX-650 and RX-1200i rangefinders provide ranging out to 650 and 1200 yards respectively, in a lightweight package available in black or Mossy Oak camouflage armoring. The RX-1200i is also available with true ballistic ranging in both black/gray and camo. Mount a Vendetta 2 Archery Rangefinder to your compound bow or crossbow to accurately range your target up to 75 yards. Get an instant range reading or continuously measure your target's distance for 40 seconds at a time!